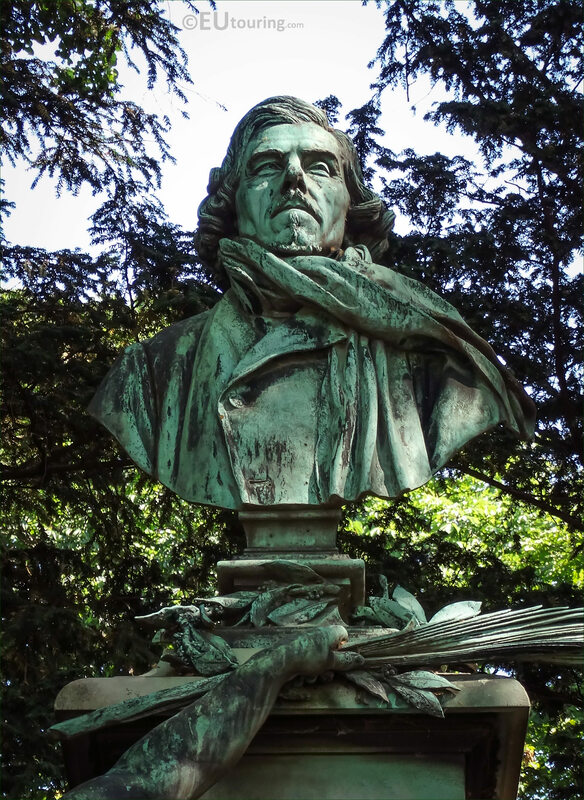 We were again within the popular free public park in the 6th Arrondissement of Paris called the Jardin du Luxembourg when we took these high definition photos showing the bronze statues and bust of Eugene Delacroix, that were sculpted by Aime Jules Dalou. 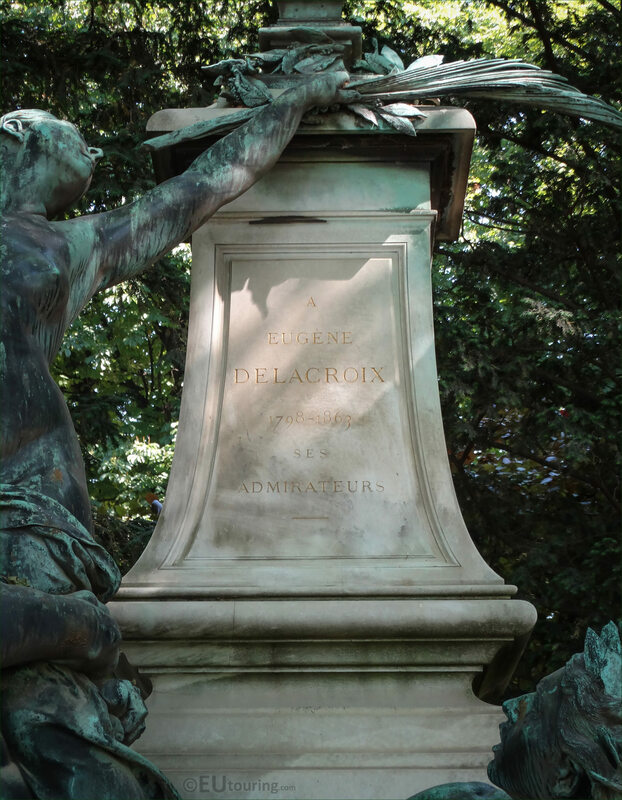 This first close up HD photo shows the bronze bust that is a part of the Monument to Delacroix, and sculpted by Jules Dalou, it is 1 metre in height itself, and is dedicated to the famous French artist Ferdinand Victor Eugene Delacroix, who was born near Paris on 26th April 1798, and became one of the renowned artists of the Romantic movement. 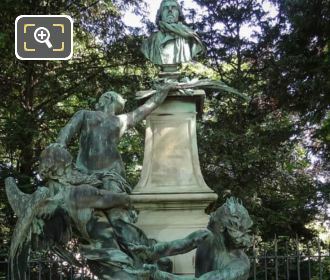 Yet this next photograph shows the three allegorical statues, which are positioned next to the stele on the Monument to Delacroix, and these were designed to represent Time holding up Glory to the bust, while the statue on the right depicts the Genie of the Arts applauding, and these were also made of bronze and sculpted by Aime Jules Dalou. 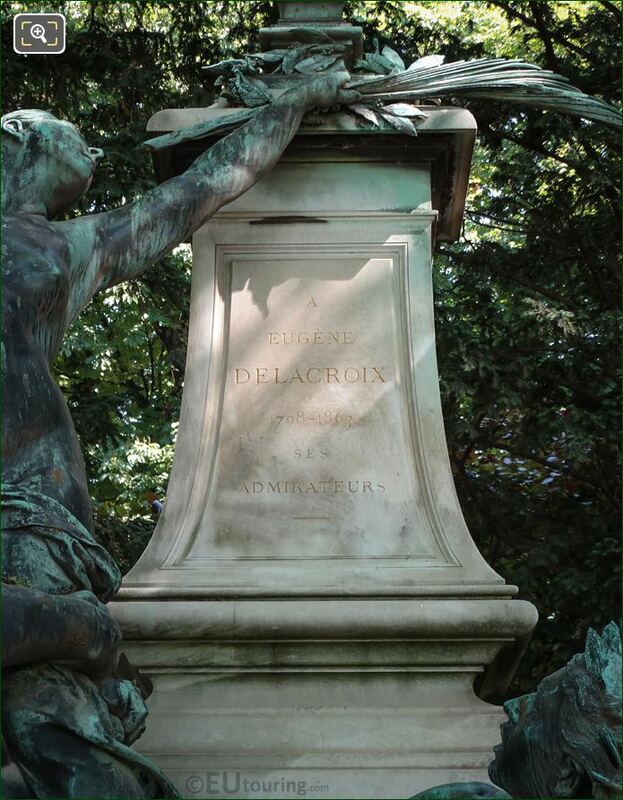 And this last photo shows the inscription on the stele itself, which states Ses Admirateurs underneath the name and his years of birth 1798 and death 1863, and in English this translates to His Admirers, who helped pay for the whole monument, which is sometimes referred to as the Fountain of Delacroix. 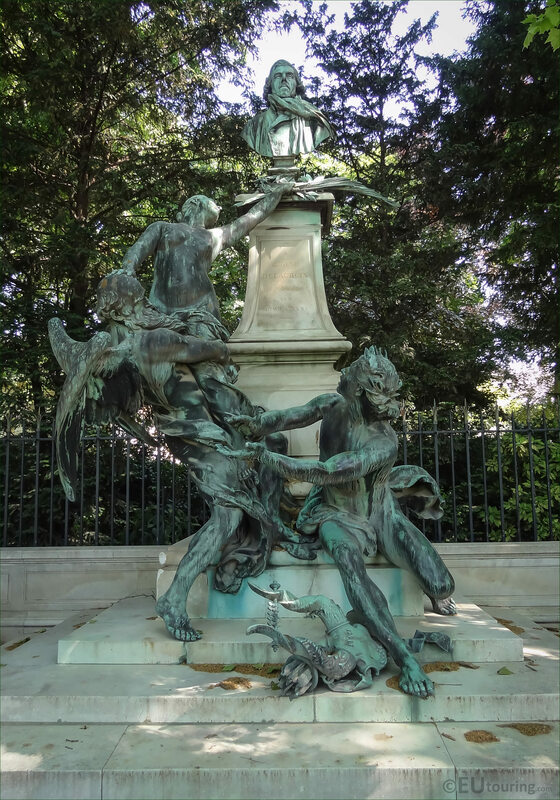 So, you can see the artistic detailing that went into this monumental composition made of marble with bronze statues, which was inaugurated on the 5th October 1890, and was placed within the Luxembourg Gardens in the northern part close to the Orangerie, which was five years after another statue group called Le Triomphe de Silene by Aime Jules Dalou was also placed in the same garden.